Weigh the Waste events measure the food waste accumulate over the course of one lunch period in Randall Dining Commons. Three Weigh the Wastes events were held in Spring 2016, and the average amount of waste per student at each event was 0.29 lbs./student. 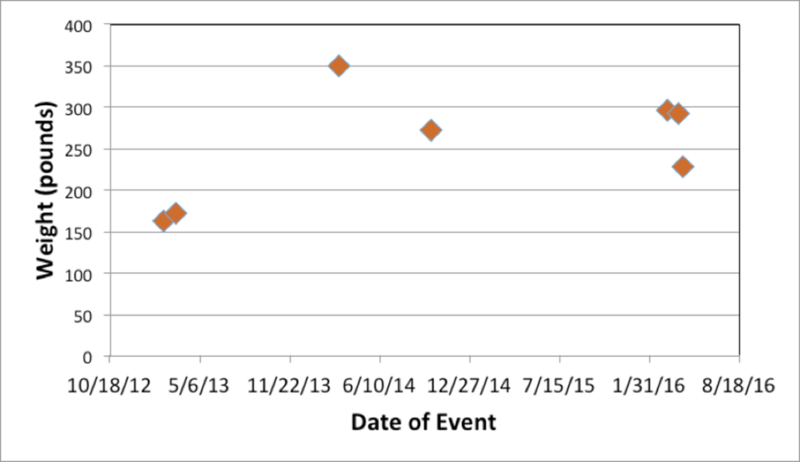 Meat waste was measured at each event, and the meat waste was not lower on the Meatless Monday (students are encouraged to refrain from eating meat on Mondays) when compared to the other events. Educational components, including informational posters, a “Guess the Waste” activity, and a comment board, were utilized at the third event. Figure 7.11. The only accessible Weigh the Waste results from events conducted from 2012-2016. Total weight of waste from all types of waste combined is shown. Data has been lost for many past Weigh the Waste events due to a computer crash. An online database of Weigh the Waste results, accessible to the public, would prevent this from happening in the future. There is some inconsistency in terms of procedures utilized at past events, including attendance tracking, event duration, education methods, and waste measurements. The Just Ask Initiative, by allowing students to customize their meals, has great potential for post-consumer waste reduction because students may ask for smaller portion sizes or only one item on a plate of food. 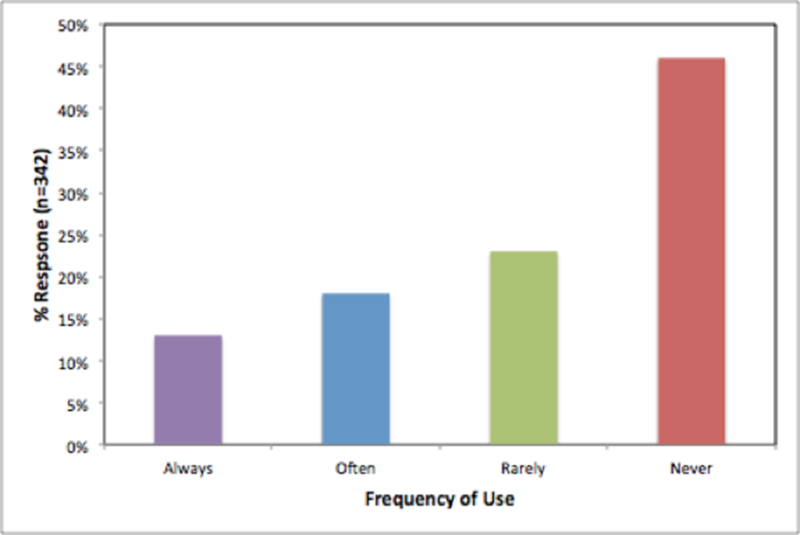 Unfortunately, audit survey results indicate that very few students utilize the Just Ask Initiative. 1) In general, do students support a vegan/vegetarian diet? 2) Is there student support for opening the vegan station on the weekend? 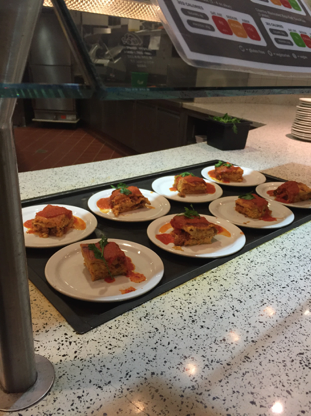 3) Do students know how to communicate their food preferences regarding Randal Dining Commons (RDC) food selections to Sodexo Food Services? The following figures represent some of the results gathered from the 2016 Environmental Audit Survey and the bullet points below each figure explain two important takeaways from the data. 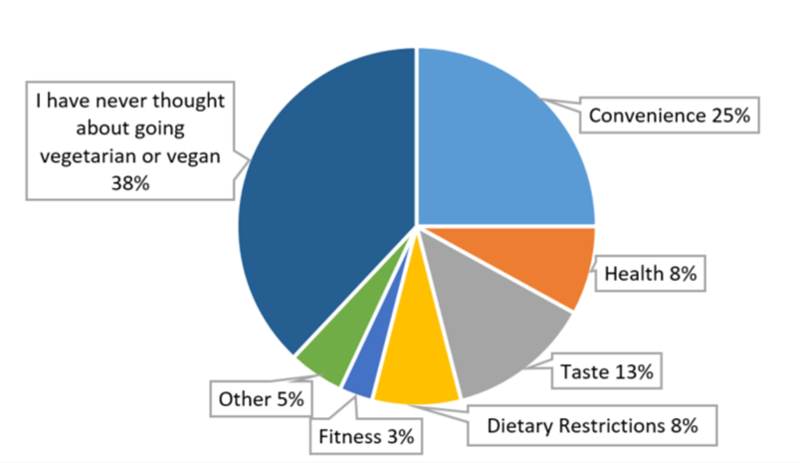 Figure 7.6: University Environmental Survey in response to the question: “If you have considered eating a vegetarian or vegan diet and chose not to, what stopped you?” 395 students responded to this question. 62% have at least considered being vegetarian or vegan which suggests that there is support for this lifestyle on campus. 25% state convenience as the primary reason they didn’t switch and therefore by increasing the availability vegan and vegetarian options more people may commit to this sustainable diet. 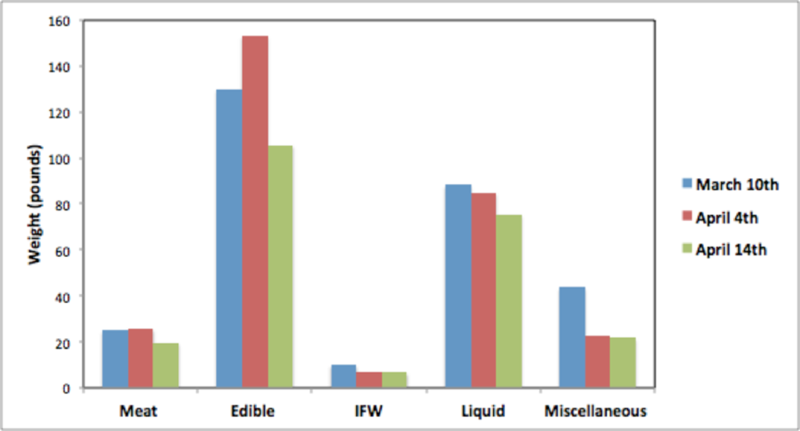 Figure 7.7: University Environmental Survey in response to the question: “Do you eat vegan/vegetarian food often even though you do not consider yourself a vegan/vegetarian?” 394 students responded to this question. 63% of the student population eat vegan/vegetarian options and that means any increase in plant based meals will benefit more than just the strict vegetarians or vegans eating in the RDC. More than 50% of the population would benefit from creating more vegan/vegetarian options in RDC. Chapman has been efficiently striving towards zero waste by incorporating methods such as A La Minute preparation, food cycling throughout the day, and food recycling methods. 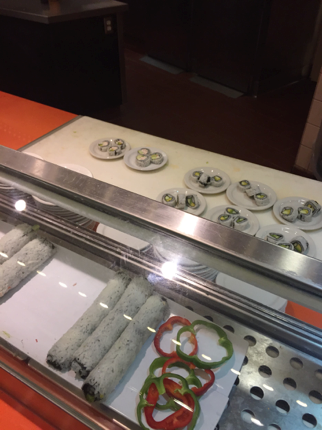 However, Sodexo’s catering branch struggles to conserve unused food because it is pre-ordered and therefore cannot be treated the way it is handled at Randall Dining Commons. There is no steady donation policy or way to facilitate food donations currently. It is recommended that Chapman start a chapter of the Food Recovery Network and/or the Campus Kitchen Project, hire a student employee to start gathering and synthesizing more data regarding student and pre-consumer kitchen waste, and donate food to local homeless shelters. 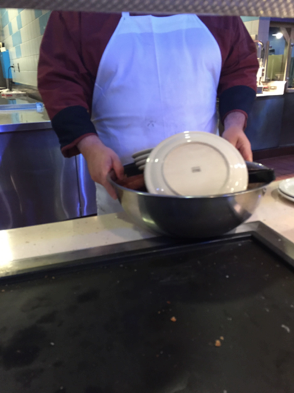 Figure 7.16: A Sodexo worker carrying out a full bowl of grilled cheese sandwiches (covered by plates) to be disposed of. Figure 7.17: Eight full plates of leftover lasagna that will be discarded. Figure 7.18: A significant amount of leftover sushi that is headed to the garbage.